A summary of the events that will take place in the end times. There’s a lot written in the Bible about the end times and it can be confusing to try to follow along with everything. 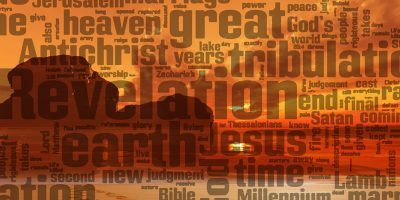 Here we have summarized references from all over the Bible in order to give a better picture of the events that will take place in the end times. “And I saw in the right hand of Him who sat on the throne a scroll written inside and on the back, sealed with seven seals.” Revelation 5:1. The breaking of each seal signifies an increase in warAlmost all talk of battles and wars when concerning a Christian life refers to the inner battle that arises when a sinful thought tempts you. God’s Spirit and the flesh are at odds. When you have decided to only do God’s will and are being led by the Spirit, a conflict between the flesh and the Spirit arises: there is... More, famine, natural disasters, etc. on the earth. We can read a full account of the seven seals in Revelation 6-8. The breaking of the seals is the first stage in the Great TribulationTribulations or trials refer to any event or situation that comes your way that tempts you to sin; that gives opportunity for sinful thoughts and temptations to rise up in you. The tribulation or trial arises when your mind to serve God struggles against your lusts to sin. It also often refers to difficult situations that test your ability to... More, a time of turmoil and distress that signify the end times. The rapture is the name given to the occasion when Jesus calls His bride home. We do not know exactly when the rapture will happen. Only God knows that. (Matthew 24:36) A clear description of the rapture is given in these verses from 1 Thessalonians. This event is not the same as the second coming of Jesus, which takes place at the end of the Great Tribulation. The marriage of the Lamb is the wedding feast in heaven between Jesus and His bride. “‘Let us be glad and rejoice and give Him glory, for the marriage of the Lamb has come, and His wife has made herself ready.’ And to her it was granted to be arrayed in fine linen, clean and bright, for the fine linen is the righteous acts of the saints. Then he said to me, ‘Write: “Blessed are those who are called to the marriage supper of the Lamb!”’ And he said to me, ‘These are the true sayings of God.’” Revelation 19:7-9. There is not much written about the marriage of the Lamb in the Bible but we can infer that the marriage of the Lamb takes place between the rapture, and the second coming of Christ, right before the Millennium. After the bride has been raptured and the harlot has been cast down comes the second stage of the Great Tribulation. This stage consists of seven angels blowing seven trumpets in heaven. Each trumpet blown brings a new plague onto the earth. Details about this time can be found in Revelation 8-11. This stage also sees the rise of the Antichrist and the Beast, a confederacy of world leaders and governments that blaspheme God and worship themselves. You can read more about the beast and the Antichrist in Revelation 13. Once the final trumpet is blown then all of the secondfruits will have been harvested (given their lives as martyrs.) Satan will be thrown out of heaven and down to the earth. (Revelation 12:9) Then God will be ready to pour out His wrath and judgment over the earth. The third and final stage of the Great Tribulation is the emptying of seven bowls of wrath over the earth. Now God has taken up both the firstfruits and the secondfruits. Those who are left on the earth are Satan, the Antichrist, the beast, and all those who follow them. Those who have chosen to follow Satan up until now will be beyond repentanceRepentance is the act of regretting sincerely the sin in your past with the goal to never do it again. It is making a decision to turn away from evil and to serve God. Repentance is one of the requirements for the forgiveness of sins. (Mark 2:17; Luke 15:10; Luke 24:46-47; Acts 3:19; Romans 2:4; 2 Corinthians 7:10; 2 Peter... More. They will experience God’s judgment. Each bowl brings new plagues and tribulation to the earth. A full account of this can be found in Revelation 16. During this time the nation of Israel will be the only stable and safe country. God’s promises to Israel still hold fast. Because of this the Antichrist will gather all of his forces and move to make war on Jerusalem. In Israel’s time of greatest need Jesus will come back with the armies of heaven to liberate the earth and begin a time of peace, the Millennium. “Then the Lord will go forth and fightAlmost all talk of battles and wars when concerning a Christian life refers to the inner battle that arises when a sinful thought tempts you. God’s Spirit and the flesh are at odds. When you have decided to only do God’s will and are being led by the Spirit, a conflict between the flesh and the Spirit arises: there is... More against those nations, as He fights in the day of battleAlmost all talk of battles and wars when concerning a Christian life refers to the inner battle that arises when a sinful thought tempts you. God’s Spirit and the flesh are at odds. When you have decided to only do God’s will and are being led by the Spirit, a conflict between the flesh and the Spirit arises: there is... More. And in that day His feet will stand on the Mount of Olives, which faces Jerusalem on the east.” Zechariah 14:3-4. See also Revelation 19:11-16. After the battle Satan will be bound in the bottomless pit for a thousand years. (Revelation 20:1-3) Jesus will cast the Antichrist and the beast into the lake of fire. Those who followed them will be killed with the sword of God’s Word. (Revelation 19:19-21) Now Christ along with the saints will reign for 1000 years. (Revelation 20:4) This is called the Millennium. The Millennium is the name given to the thousand years’ kingdom of peace when Jesus will rule over the whole earth from Jerusalem. This will happen at the end of the Millennium and will be the last event before the Final Judgment takes place. The Final Judgment takes place at the end of the Millennium, after Satan’s last rebellion. This judgment will be for all those who have not experienced God’s judgment already. When God makes everything new, that includes even a new heaven and a new earth, because both the old heaven and the old earth have been tainted by sinSin is anything that goes against God’s will and His laws. To commit sin is to transgress or disobey these laws. The lust to sin dwells in human nature. In other words, it is contaminated and motivated by the sinful tendencies that dwell in all people as a result of the fall into sin and disobedience in the garden of Eden. This... More. Even heaven was blemished by Satan when he tried to exalt himself above God. 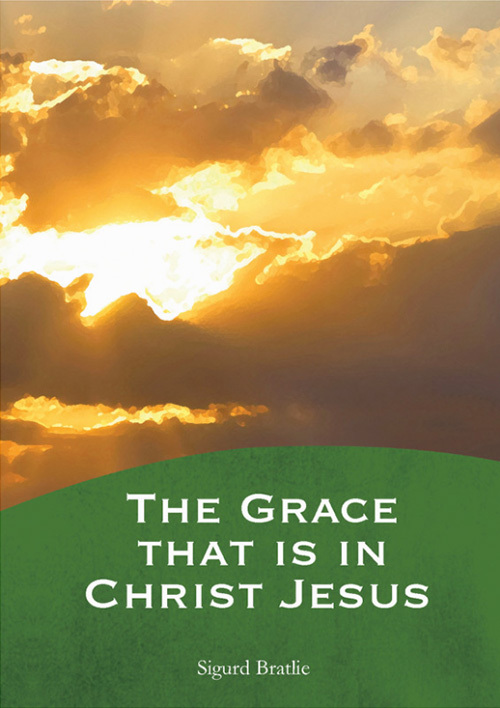 In God’s new creation, every consequence of sin from the first creation – sorrow, pain and death will be no more. FellowshipFellowship means communion with other Christians who are living the same life that you are. It includes mutual edification and a unity in purpose and spirit that goes far deeper than friendship or human relationships. (1 John 1:7) We also experience fellowship with Christ when we overcome sin in the time of temptation just as He did when He was... More between God and man will be restored, as well as fellowship between people. Jesus will reign from Jerusalem with His bride, and from them the glory of God will illuminate the new earth. “Now I saw a new heaven and a new earth, for the first heaven and the first earth had passed away. Also there was no more sea. Then I, John, saw the holy city, New Jerusalem, coming down out of heaven from God …And I heard a loud voice from heaven saying, ‘Behold, the tabernacle of God is with men, and He will dwell with them … And God will wipe away every tear from their eyes; there shall be no more death, nor sorrow, nor crying. There shall be no more pain, for the former things have passed away.’ Then He who sat on the throne said, ‘Behold, I make all things new.’” Revelation 21:1-5. You may be interested in reading more in the free e-book “The Bride and the Harlot and the End Times,” or by exploring our topic page about the end times.